I had to do a double take when I saw the packet of safety razors on the shelf of the pharmacy in Greendale, Harare. 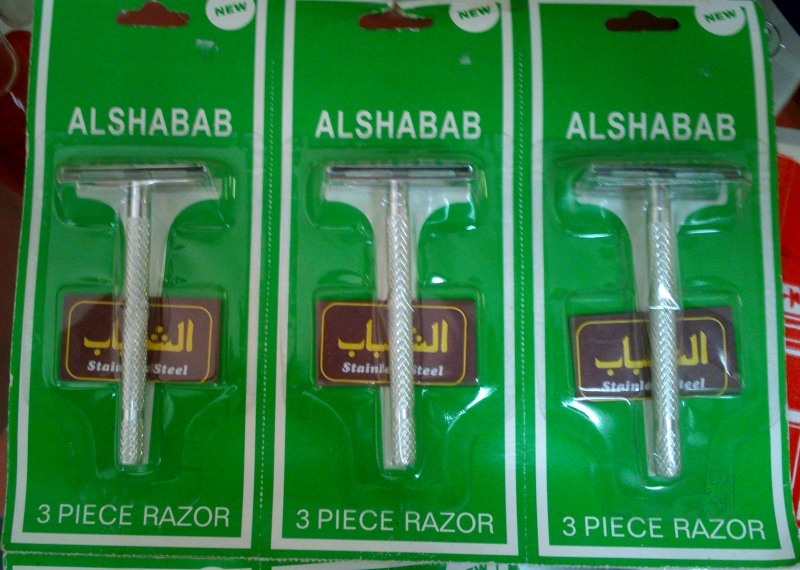 An Alshabab razor? Well that’s what it says on the packet. 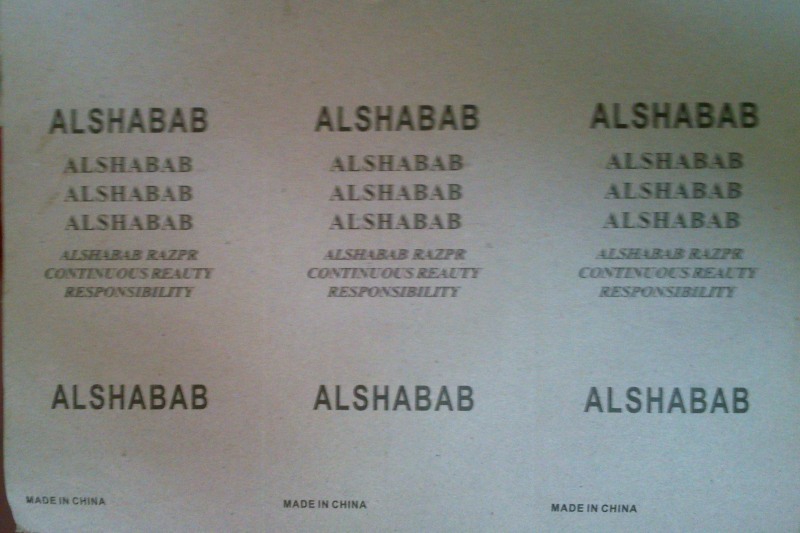 Of course on turning the packets over I discovered that it was probably nothing to do with the Islamic extremist organisation of the same name; of course it was “Made in China”. I mean really, couldn’t they even spell razor (razpr) properly? I asked the pharmacist what he knew about it but he hadn’t even noticed them! I wonder what the Arabic writing on the front says?